When family and friends of Eugene “Gip” Brooks gathered in Colchester to say good-bye to the 73-year-old retired bus driver, who died March 1, his memorial service was especially poignant for many of his former co-workers at the Vermont Transit Company. For Chris Andreasson, 56, general manager of Vermont Transit, Brooks’ passing also marked the end of the line for a company he’s been with for more than 35 years. Andreasson says the “Vermont Transit” name will soon “cease to exist” on buses, buildings and drivers’ uniforms. The company’s identity, according to Andreasson, is being swallowed by its parent company, Greyhound, which was purchased in October by transportation giant FirstGroup, of Aberdeen, Scotland, for $2.8 billion. Dustin Clark, a spokesperson in Greyhound’s corporate headquarters in Dallas, wouldn’t confirm the demise of Vermont Transit or say what changes are in store for the nation’s largest bus company in the wake of its purchase by FirstGroup. Clark didn’t know how many of Vermont Transit’s 89 full- and part-time employees will be let go by the new owners, nor what kind of severance packages they might be offered. He did, however, insist that the Vermont Transit “brand” will remain unchanged, and that riders will see “no noticeable difference” in service. Bruce Hamilton, president of the Amalgamated Transit Union Local 1700, which represents all of Greyhound’s drivers and about half of its mechanics, confirmed that Vermont Transit’s operations are being merged into Greyhound’s. 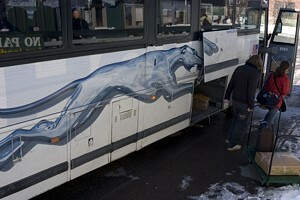 However, Greyhound hasn’t told him yet how many Vermont Transit employees, who have always been non-union, will be brought into Local 1700 on April 1. Company controller Bill McCormick, who’s been with Vermont Transit for 37 years, said that some personnel and accounting files will be retained by Greyhound. As for the rest, whatever isn’t donated to the Vermont Historical Society will be shredded. According to published historical accounts, Vermont Transit was founded in 1926 by William Appleyard, who owned a Burlington Dodge dealership. In those years, Dodge required its dealers to also sell its Graham buses and trucks. 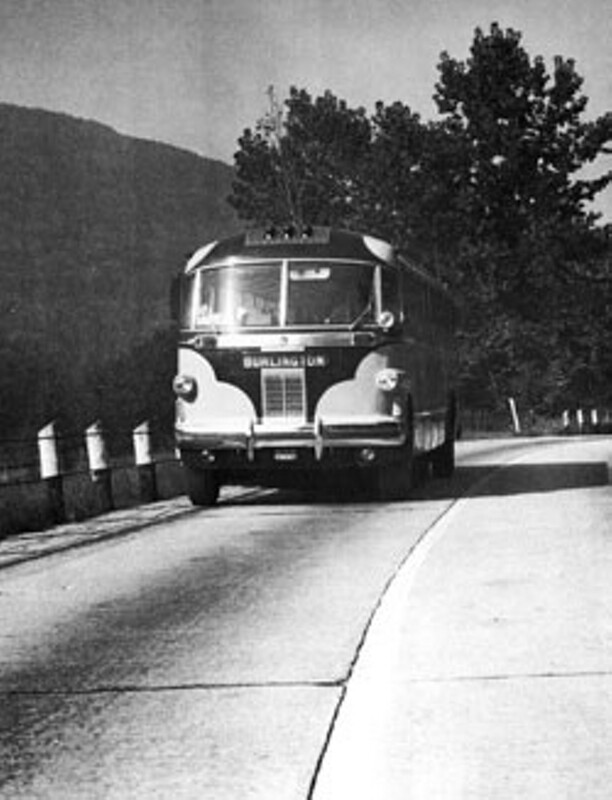 Since Appleyard found few bus buyers in Vermont, he bought them for his own use. At the time, the Queen City’s transportation needs were primarily served by the Burlington Traction Company, which operated electric trolleys. When Appleyard opened the Burlington Rapid Transit Company, the battle between the trolleys and the buses quickly grew bitter. According to Robert Redden, a bus enthusiast who wrote an unofficial company history called The Vermont Transit Historic Photograph Portfolio, trolleys routinely rammed Appleyard’s buses or sabotaged his company’s vehicles. Appleyard eventually bought out the trolley company, and on August 4, 1929, Burlington’s last trolley was ceremonially set ablaze in front of several thousand onlookers, as a bugler played taps. In the ensuing years, Burlington Transit Company expanded its service statewide, north to Canada, east to Maine and south to New York. The company later changed its name to Vermont Transit Company, often referred to as Vermont Transit Lines, or simply VTL. The sadness of longtime Vermont Transit employees like Andreasson and McCormick stems less from the fear that Greyhound’s new master, FirstGroup, will slash bus service or scheduled routes in Vermont, which have already been declining for years. Instead, the employees are mourning the loss of a uniquely Vermont institution. Andreasson still remembers a time when Vermont Transit published six-page route schedules, ran eight roundtrips daily between Burlington and Albany, N.Y. — today, there aren’t any — and buses made unscheduled passenger pickups.